No, it wasn’t Mary J. Blige or the incomparable Lea Michele. It’s Halsey—an artist familiar to many as the featured voice on The Chainsmokers’ obnoxious earworm “Closer”—who’s the first and only female artist to have a No. 1 album in the country this year. Halsey’s second album Hopeless Fountain Kingdom (popular among teens?) sold 106,000 units in its week of release (June 2); 76,000 of those included traditional album sales. 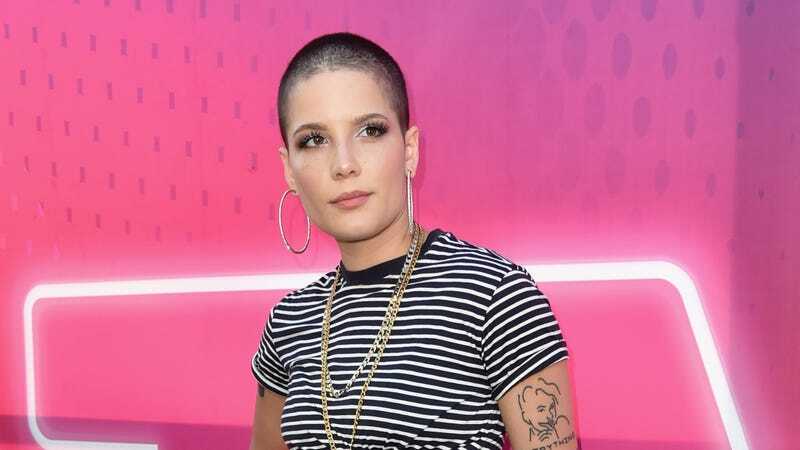 Halsey’s new album is the first by a woman to be No. 1 on the Billboard 200 in 2017. The last leading lady to top the chart was Lady Gaga, whose Joanne album debuted on the list dated Nov. 12, 2016 — more than seven months ago. In the last 12 months, Halsey is only the fourth solo woman to top the Billboard 200, following Lady Gaga, Solange (A Seat at the Table) and Barbra Streisand (Encore: Movie Partners Sing Broadway). This is the single that helped Ashley “Halsey” Frangipane get to No. 1, “Now or Never,” which has a deadness to it that’s hard to connect with. Anyway, it’s an impressive feat for Halsey in a year of attrition for female artists on top of the pop charts, but she’ll still be best remembered for this video.